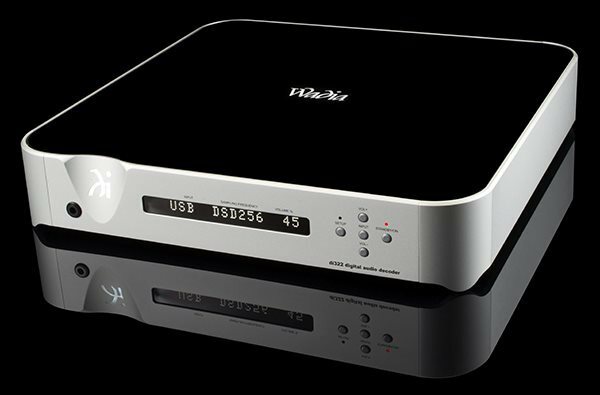 The di322 digital audio decoder keeps Wadia at the forefront of digital music playback by adding expanded support for high fidelity DSD files to the Wadia line. Via the USB input, the di322 supports DSD64, DSD128 and DSD256 music files. PCM files with sampling rates up to 32-bit/384kHz – including DXD 352.8kHz and DXD 384kHz formats – can also be played through the USB input. With the addition of DSD support, digital music lovers can experience and enjoy some of the latest high resolution music offerings. Its 2 optical and 2 coaxial inputs accept music with resolutions up to 24-bit/192kHz, while the DIN input will allow future Wadia models to connect to the di322 at high performance levels. A pair of variable balanced and unbalanced audio outputs connects the di322 to your amplifier. A high power headphone jack enables personal listening for those times when you want a truly intimate listening experience. A modern design with a top glass panel and aluminum construction adds aesthetic beauty. Combine the di322 with the m330 media server and a315 or a340 amplifiers for a complete system solution.